The Senator representing Jigawa North West, Abdullahi Gumel, has faulted the National Assembly’s delay in passing the 2019 general elections’ budget. Speaking with News Agency of Nigeria, NAN, Gumel claimed that the delay was a deliberate attempt to frustrate President Muhammadu Buhari’s effort to conduct free and fair elections. 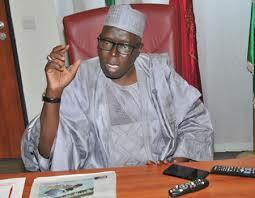 Gumel, a Senator on the platform of the All Progressives Congress, APC, described the delay as an act of sabotage. He noted that in spite of the urgency of the matter, only the committee on INEC had met and concluded work. Gumel said, “You cannot rule out sabotage in this development because the Senate president has decamped to an opposition party. “I think he will be happy if the government does not succeed because he decamped to a party that is working to take over from us. “We view it as sabotage because the All Progressives Congress (APC) Caucus has demanded the National Assembly to reconvene and finish up work on the budget. “From the look of things, we are not reconvening until the date we are meant to resume. “We have finished the job in the INEC committee and transmitted back to the leadership but I do not know if the leadership has transmitted it to the Appropriation Committee. “If they did, the Appropriation Committee did not call us for any meeting. We are supposed to meet to find the source of funding for the election. “Also, the Police Affairs Committee has not met to deliberate on the police budget for the election and I suppose other committees on security have not met in that regard as well. “Those in the drafting unit should be careful to avoid return of bills sent to the president for assent.